Ever find yourself wondering "what is the perfect tea for my moods, which vary, and require different types of tea?" Well, fret not, you're probably just real dumb. 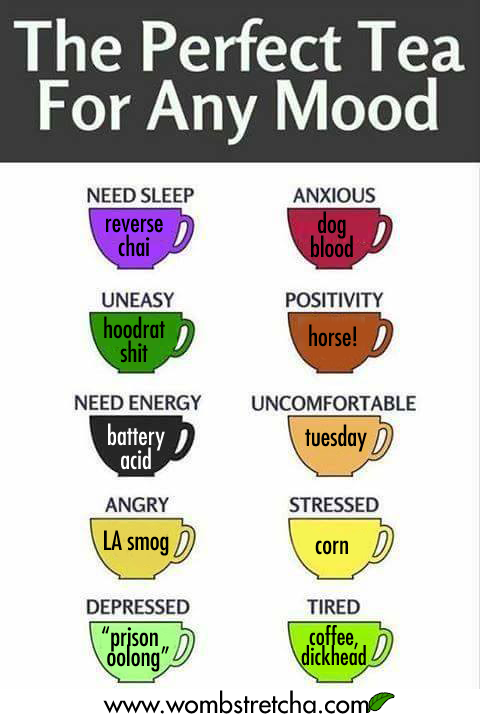 If not, I have a handy chart, which you should use, every time a tea/circumstance situation arises.